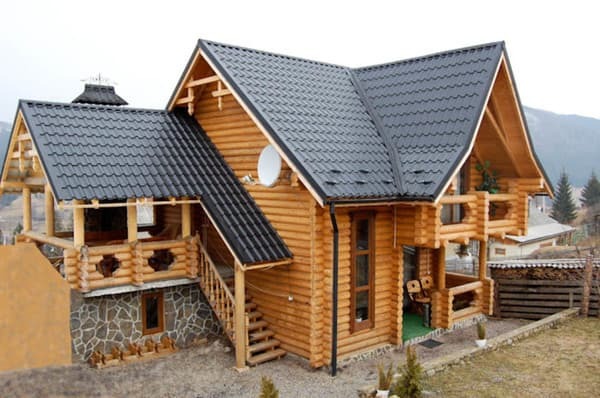 The farmstead "Carpathian Roshi" will provide guests with a wonderful holiday in the Carpathians. 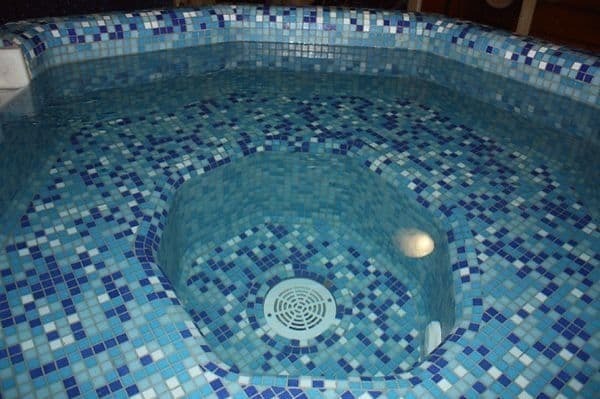 It offers accommodation in 4 comfortable cottages, where there is everything necessary for a pleasant pastime. In one of the cottages - a large hall for dancing, yoga and other sports. The hosts will offer customers tours, hiking trails and horseback riding. 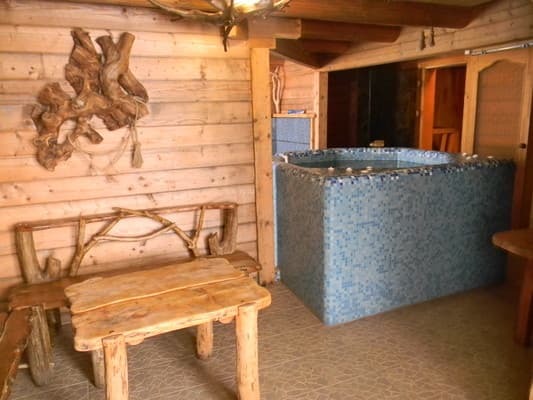 In winter, guests will get a lot of pleasure from skiing, tobogganing, and in the summer - from hiking to the mountains of different complexity, bathing in the river and picking up mushrooms and berries. 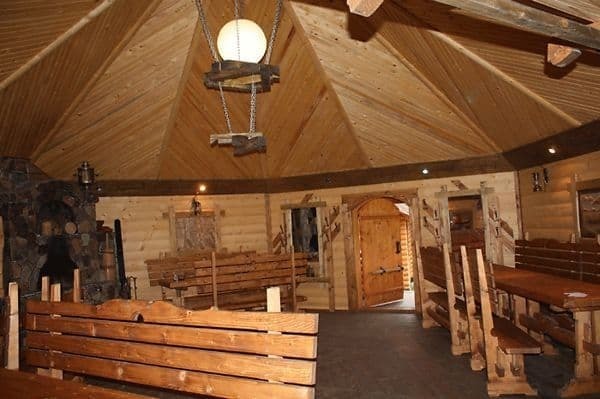 On the territory of the estate "Carpathian Rosi" there is an opportunity to visit the sauna, where you can relax after a busy day. PRICES MAY CHANGE, YOU NEED TO UPDATE THE OPERATOR'S INFORMATION! 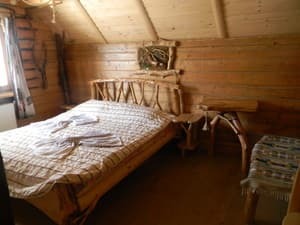 Description of the room: Cozy 2-bed room, which has everything you need for a pleasant stay: a double bed, a TV (in one room - a bunk bed for children), a bathroom. Description of the room: Cozy 3-bed room, which has everything you need for a pleasant stay: double and single beds, clothes hanger, TV, bathroom. Description of the room: On the first floor there is a room with a fireplace (soft part), a bathroom (WC, washbasin). 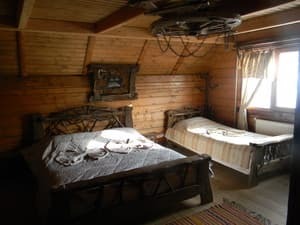 On the second floor there are 2 double rooms (a double bed, a TV, in one room there is a bunk bed for children), a triple room (double and single beds, TV), a bathroom (shower, washbasin, bidet, toilet, washing machine). Some rooms have a balcony. Description of the room: On the ground floor there is a kitchen (electric stove, microwave oven, refrigerator, electric kettle, dishes, sink), 2 double rooms (double or 2 single beds, wardrobe, TV), bathroom (shower, toilet, bidet, washbasin). On the second floor there are 2 double rooms (2 single beds, a wardrobe, TV), a bathroom (shower, toilet, bidet, washbasin). 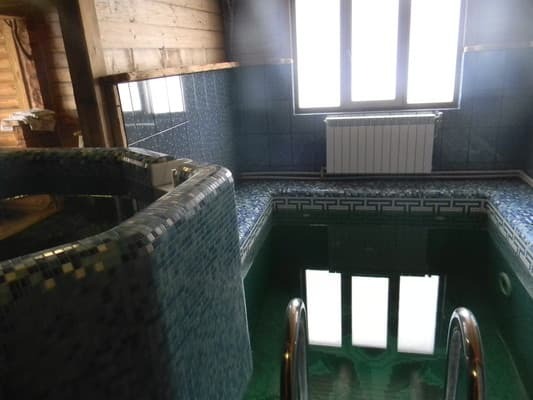 Description of the room: On the ground floor there is a sauna with a swimming pool and a jacuzzi. On the first floor there are 2 double rooms (double bed, clothes hanger, TV), triple room (double and single bed, clothes hanger, TV), bathroom (shower, washbasin, bidet, toilet, hairdryer). Description of the room: On the first floor - fully equipped kitchen, dining room. On the second and third floors - 7 double rooms (double bed, wardrobe, TV - bathroom - shower, toilet, washbasin). Some rooms have a balcony and extra beds - folding sofas or armchairs, one room has two rooms. Номера в отдельно стоящих домиках, месторасположение, постриженый газон, приветливые хозяева. In winter, guests can order 2 meals a day for an extra charge. In the village of Verkhovyna, 1 km from the center of the village, next to the highway. To the nearest ski lift 200 m.
To Verkhovyna by bus, shuttle from Ivano-Frankivsk, get off in the center, then take a taxi or arrange a meeting with the hosts.